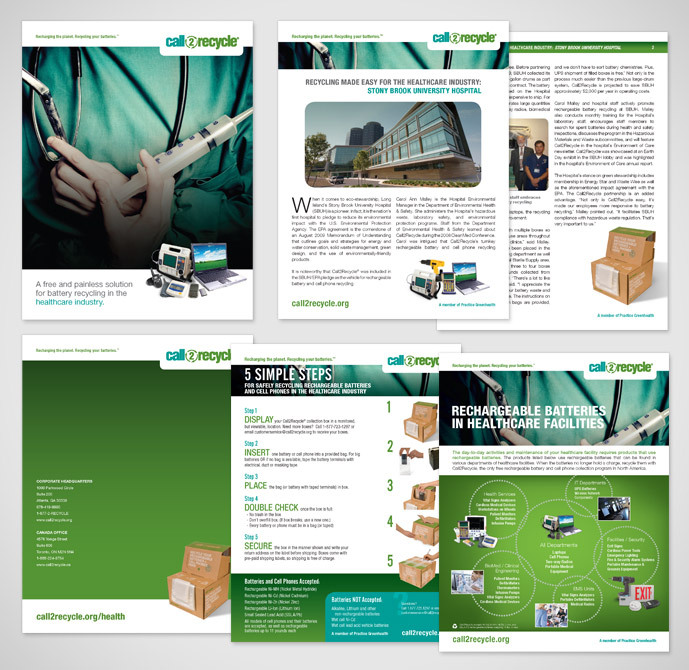 To assist Call2Recycle in reaching a target market segments, the team at BtB Marketing created a tailored marketing kit for the healthcare industry. The kit has interchangeable pieces explaining how various aspects of their battery recycling program can benefit target organizations, as well as functional one and two page templates for Call2Recycle to customize and add on their own. The kit is both printable and emailable for client convenience.